The cold air layer has to be shallow enough so that the rain falling through it doesn't have time to freeze before it reaches the surface. If the cold air layer is deep enough, the rain freezes as it falls to form ice pellets (also called sleet) instead. 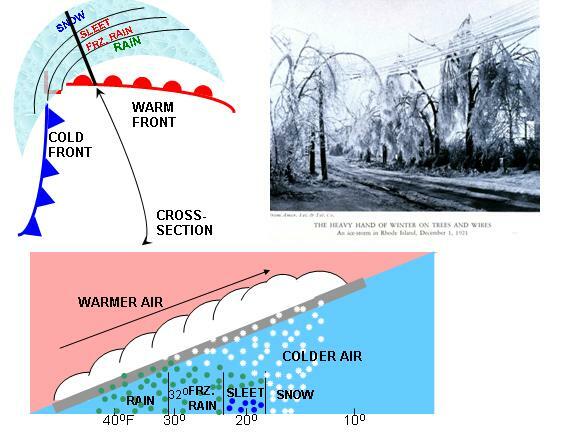 If more than about � inch of ice accumulates, tree limbs, branches, and power lines start to snap. The resulting damage can cost many millions of dollars, and it can be days or even weeks before downed power lines can be fixed, restoring power to homes and businesses.